A lot of has happened to Proud Peasant since we introduced you to them in 2014. Now they are in the middle of recording their second album and we wanted to bring everyone up to date, plus introduce you to the band members. 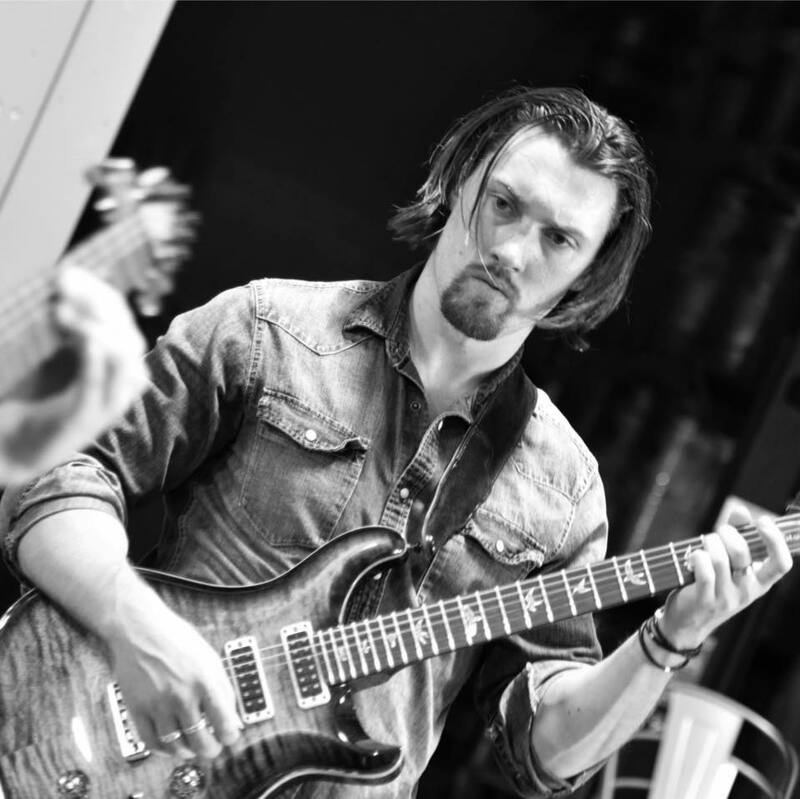 First, we’ll hear from leader Xander Rapstine (guitars, vocals, and composer) on what has happened over the past three years and his plans for the future. What changes have occurred since the release of Flight in 2014? XR: We’ve had a lot of personnel changes in the band since we released Flight. Our drummer moved to New York shortly prior to the release, and our keyboard player lived in Fort Worth, which just wasn’t feasible logistically. 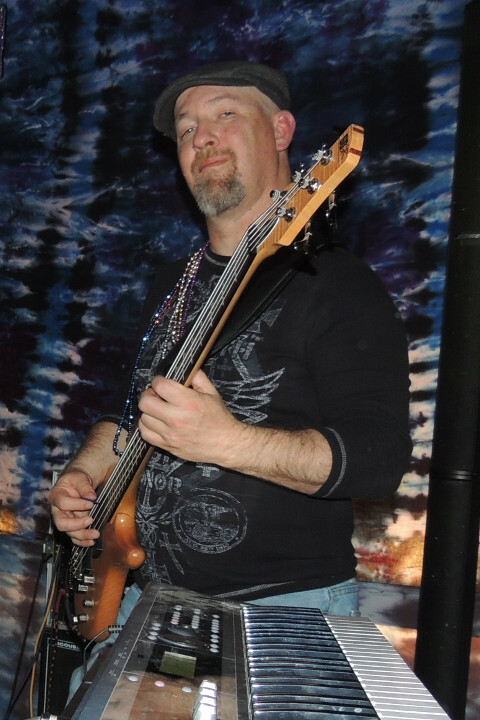 Our bassist at the time, Kyle Robarge, was on board, and we assembled a group of six musicians to play our first shows, including Mark Poitras on keys and bells, Dave Houghton on guitar, and Josh Denslow on drums. One of the keyboard players, Charlie Campbell, was an ex-bandmate of mine, and he was really just helping us out until we could find another player. 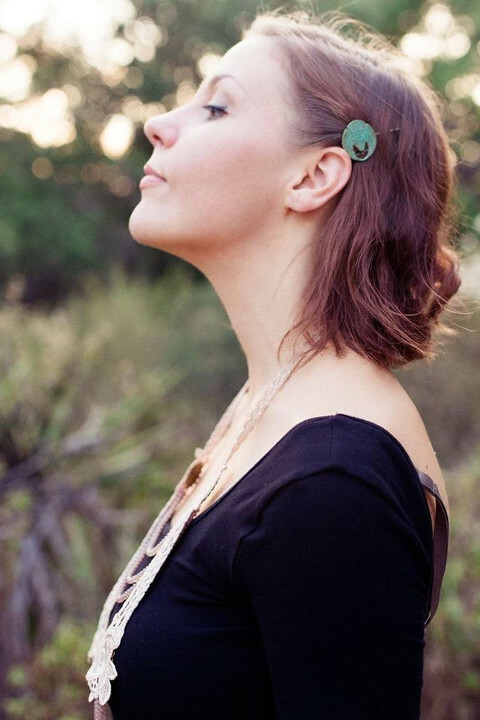 That led us to Millicent Hughes, who added keys, vocals, and violin to the mix, and she joined us for our Cosmic Sound release on Fruits de Mer Records. Shortly thereafter, Kyle left the band due to personal obligations, but we found Clif Warren as a worthy replacement on bass. 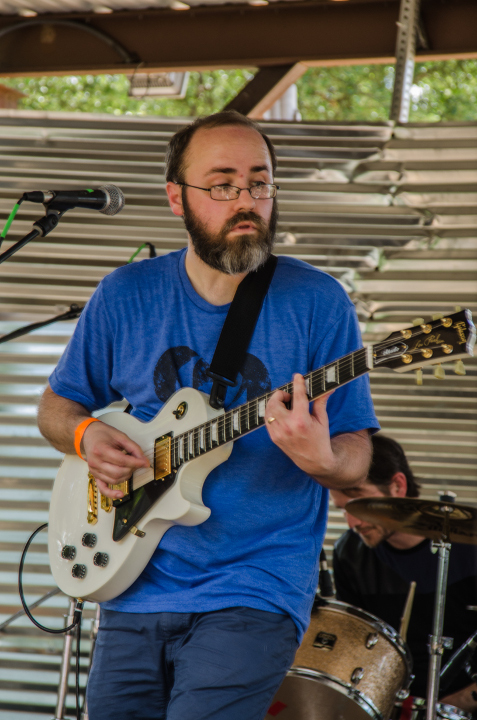 More recently, Josh left the band for similar reasons, and we were fortunate to find our new drummer, Dave Irish, a veteran of the Austin art-rock scene. Mark is likely in the same situation, and there’s currently a discussion in the band about how to move forward. We’re leaning towards just being a five-piece, but we’re discussing our options. As it is, the band is me on guitars and vocals, Dave H. on guitars and vocals, Millicent on keys and vocals, Clif on bass and backing vocals, and Dave I. on drums. Mark is still loosely associated with the band, and will still appear on recordings. Did you sell all of the copies of Flight? XR: We did sell through all of the initial print run of Flight. We printed 500 copies, and about 100 of those were used for promotion or given to friends and family. The others were sold either through our CD Baby page or to wholesalers like The Laser’s Edge, Cuneiform, and Caerllysi Music. We printed a smaller second run of 300 about halfway through 2015, and those have sold more modestly. I knew it might be a while before we released our second album, so we needed to have a record in stock for shows and additional promotion. What lessons have you learned looking back over the last three years? XR: Quite a bit! First, promotion is key, and it really is all about who you know. The music can take you pretty far, but it really does help to know people who work in and around music promotion, whether it’s radio, magazines, blogs, etc. If you’re going to release an album on your own, making sure you have money put aside for promotion is vital. Secondly, there are some weird divisions among progressive music fans, and navigating those can be a bit tricky. The “retro-prog vs. actually-progressing-rock” arguments are pretty exhausting, and there seem to be some militant fans of specific sub-genres (especially avant-prog and prog metal). The real metric for music should just be quality, rather than whether or not it’s ticking off certain boxes on a list. Quality is of course a subjective thing, but what I mean is that fans of progressive music should just be asking themselves if the music is good. Ultimately, I have had to learn to block out a lot of the negativity and just try to make music that I want to hear. Finally, even a small amount of success in the progressive music world doesn’t translate to being able to live off of music. Making high quality recordings requires money, and not compromising your high standards means that it takes time to get things done. The response to our first album overwhelmed me, it was far more enthusiastic than I could have ever expected, but success in progressive music is relative. Is part two still named Communion? XR: Yes, and we’re really excited about the new record. We’ve recorded about a third of the album, and we’re planning to go back into the studio in the next few months. I wish I could put a reliable date on when we might finish, but we’re all at the point in our lives where other responsibilities take precedence from time to time. We would like to release the album at some point in 2018. The first record was a meditation on finding one’s identity in life. This record is about the difficulties in communicating effectively, something I think the whole world can relate to at this point. The third record, Dreeing the Weird, will be about the concept of mortality. When I was originally thinking about subject matter for modern progressive music, I thought long and hard about what might be appropriate. As a straight white male, my life has been privileged and, overall, very easy. Any complaints I might have truly pale in comparison to the things I see going on in the world. Most of my struggles are internal, and I wanted to make music that might reflect struggles that anyone could relate to. I believe that everyone goes through a period of establishing an identity. We all have had trouble communicating at one point or another. And we all have to face mortality in the end. How is Communion different from Flight? XR: The record has vocals! With lyrics! That will probably be the most noticeable difference. It’s also a much heavier album than the first album, but it still has plenty of nuance. 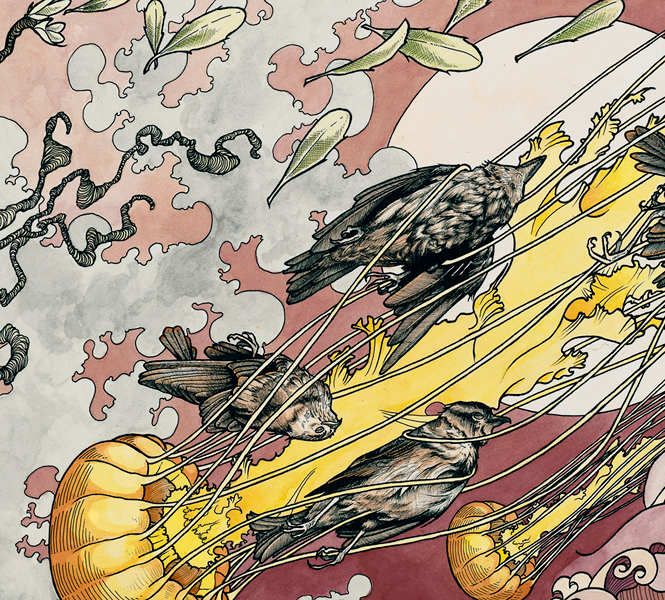 The songs have what some may find to be a more “modern prog” sound than Flight. Most of the songs are shorter (5-6 minutes). There’s also a sense of collaboration with the band and our engineer, Chico Jones. The first record was largely me telling people what to play. Communion features contributions from the other band members that have really defined some of the songs. In 2014 you told me that you had written a King Crimson-influenced song, “A Storm of Swords,” that you intended for Communion. Is that still your plan? How has the song evolved since 2014? How have things changed for Proud Peasant after being released on vinyl by Fruits de Mer Records? Where do you see your biggest fan base? 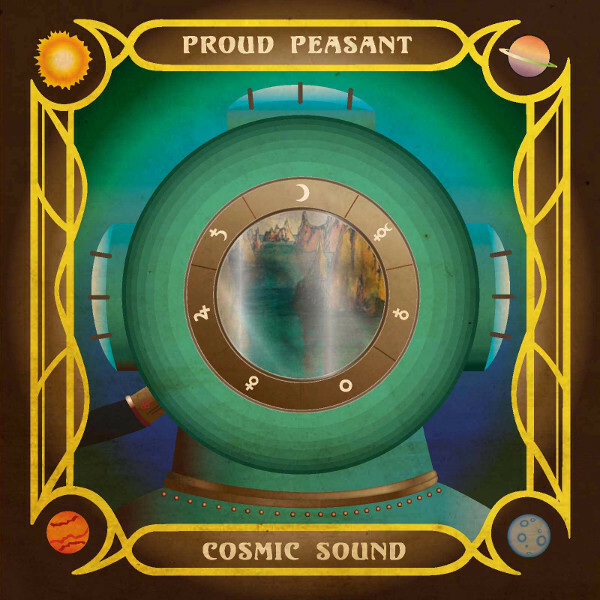 XR: Cosmic Sound definitely introduced us to the Fruits de Mer loyalists, and our review in Classic Rock Magazine and being featured on BBC radio were absolutely huge for us. The actual changes are more difficult to gauge, however. Vinyl is a bit of a deal-breaker for some people, so it wasn’t nearly as base-expanding as we might have hoped. At the same time, it really provided us with some friendships and connections that we might not have had otherwise, and the whole experience of working with Keith Jones and the promotion around the release of the single were amazing. We would work with Fruits de Mer again in a heartbeat! Our biggest fan base tends to be in the UK, although we’ve found pockets of fandom all over the world. Germany, Belgium, France, Canada, and the US have all been very good to us as well. What is Waterloo Records’ attitude towards Proud Peasant and your music? XR: I’ve really only dealt with the consignment and web departments at Waterloo, but they have been incredibly supportive, and they wanted to help us out. I was looking for a way to handle fulfillment of our copies of Cosmic Sound since the prospect of shipping vinyl wasn’t great to me. They were open to the idea, and they were extremely generous in helping us set that up, as they really are experts when it comes to vinyl. What are you doing different today with Proud Peasant from when we met in 2014? XR: I’m no longer on my own. I’m the songwriter / composer, and I still have to get a lot of music prepared for the other members, but their contributions are invaluable and are pushing the music in different directions. I’m also constantly trying to push myself to learn more music theory, and this changes the way I compose from song to song. Another big change from 2014 to now has been playing shows with other bands in Austin and meeting other progressive music enthusiasts. I think a lot of people have had the experience of feeling like you’re the only one listening to a band, and that’s no longer the case. Playing shows in a scene with bands like Stop Motion Orchestra, The Invincible Czars, Crocodile, Thirteen of Everything, Seven Circles, The Aaron Clift Experiment, Opposite Day, and Transit Method has allowed us all to feed off that collective energy, and it really pushes us to be more creative in our music and more dynamic in our live shows. Are you only playing live in Austin? Or have you gone on the road? Any plans for playing festivals like Aaron Clift or touring like Sam Arnold? XR: We are currently only playing live in Austin, but we have had conversations about a mini-tour in Texas. The reality is that our audience is dispersed throughout the world, so making shows worthwhile can be difficult. We would love to play ROSFest or ProgDay, but we’re probably not there just yet. My hope is that with a new album under our belts, a plan of promotion, and a steady stream of live shows, we can take that next step and find a new group of fans. Thanks Xander! Now lets hear from the rest of the band. First is long-time guitarist and vocalist Dave Houghton. What was your earliest musical experience? DH: When I made the connection between music and mood during film was a huge realization for me, and introduced me to the concept of music for mood. How long have you been playing with Proud Peasant? DH: I have been the live guitar player since Proud Peasant’s first show which is about three and a half years. Why did you join Proud Peasant? DH: Xander was looking for a lead guitar player and I have always been a fan of Progressive music. What do you like and dislike about the music you play? DH: I really enjoy music that is part of a bigger picture. In the case of Proud Peasant that often means compositions that feed into the concept of the album. DH: First it was Tool for me, and when I learned that King Crimson was an important influence on that band I bought some early albums. I was immediately impressed with the scope of the music, pastoral landscapes one moment followed by epic crescendos the next. DH: Different music for different moods. But a few of my biggest influences are John Coltrane, Tool, Joanna Newsom, and Sigur Rós. DH: I wouldn't say I hate any music, but my friends tend to give me a hard time regarding my lack of interest / familiarity with popular music. DH: After high school, I would describe my taste in music as expanding rather than changing. DH: While playing instrumental music, it’s not unusual for people to approach me after a show and say they loved the sound but inquire regarding the absence of vocals. It's interesting how people have a hard time processing music that doesn't literally speak to them. I've recently begun responding playfully with, "Why didn't you also ask why we don't have a French horn?" DH: I truly love listening to Joanna Newsom play the harp. 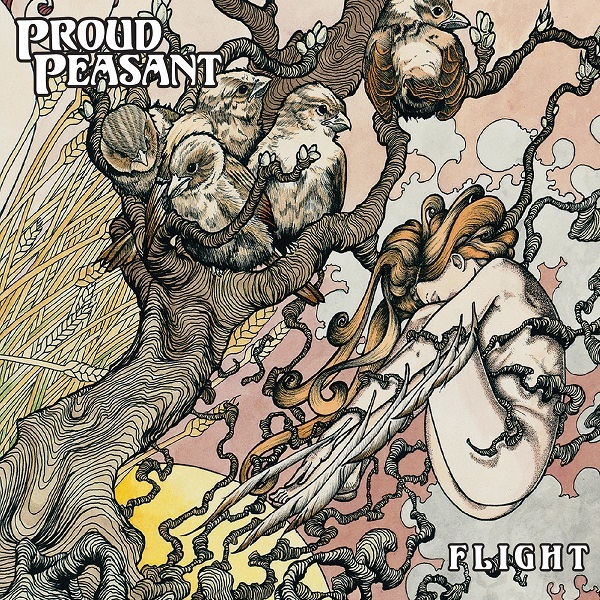 How much input do you have with Proud Peasant’s music? DH: In the beginning Xander would have the music written precisely as he wished it played. Over time he has come to trust my judgment and gives me more vague instructions such as a chord progression as opposed to specific arpeggios in a specific position. Now we’ll hear from keyboardist Millicent Hughes and her responses to the same questions. What was your earliest musical experience? MH: When my mom was singing nursery rhymes to me as a baby. MH: Since the summer of 2015. MH: Because I thought it would be fun to play keys in a rock band! What do you like or dislike about the music you play? MH: I like the complexity and the intensity of it; the interlocking parts; the frequent changes in time signature, meter, and/or key signature. There's nothing that I'd say I "dislike" about it. MH: When I listened to Pink Floyd's Dark Side of the Moon with headphones, looking out the window and studying a visual art magazine by Tim Slowinski, on a road trip with my family when I was a teenager. It helped me survive that trip. MH: All kinds. Anything with heart and that is exploring new territory and/or combining things in unusual ways. This can come in the form of any genre. MH: I hate anything that lacks sincerity and clearly made for nothing more than to increase profit margins and to appeal to the most mundane standards. MH: I've become more open-minded about certain pop music that I assumed was automatically in the above category, only to be proven wrong. MH: I was playing in an ensemble, and the director split us up into two distinct groups to greet the audience from outside the music hall and then lead them into their seats. My group ended up on stage waiting for the other half to join us, only to realize that they were waiting backstage for us to join them. So, we awkwardly made our way backstage after whispering to each other about what to do in front of the audience. MH: Quite a few including prepared piano, glass harmonica, the Turkish instrument the saz where the frets are moveable, the Seaboard, and one of Björk's instruments that she created and built for her album Biophilia called the gameleste — none of which I play but would like to! MH: Xander writes all the parts but often we all add additional creative expression, complexity rhythmically, and variation to the melodies, harmonies and of course voicings/sounds (for example on my Nord keyboard and synth). And lastly, we hear from bassist Clif Warren. What was your earliest musical experience? CW: My first experience of performing publicly was a piano recital back in elementary school. My first with a "regular band" was at the Youth Activities Center on Yongsan Army post in Seoul, Korea in 1986. We played Beastie Boys and Mötley Crüe covers, and we were positively horrible, but a good time was had, and it's been all downhill from there. CW: I have been with Proud Peasant for just over a year now. CW: I have been an active musician for all of my adult life. When I moved to Austin at the beginning of 2016, I knew I wanted to stay involved. It took some time to find something that fit, but I eventually found Xander's ad on Craigslist, and here we are. CW: I deeply enjoy the complexity and challenge of the music we play. There really isn't anything to dislike. CW: The year was 1985, and personal CD players were just becoming popular. A friend of mine invited me over to check his out, and dropped headphones on me playing “The Gunner's Dream” on The Final Cut by Pink Floyd. It was very nearly a religious experience. CW: My daily playlist mainly consists of rock and hard rock from the 60s all the way up to the 00s. Lots of Rush, Yes, Iron Maiden, Black Sabbath, old Metallica, and the like. I enjoy anything that takes true talent to perform, however, and there is a groove to be found in almost all music. CW: I think "hate" is a bit strong, but I strongly dislike music that either excuses or glorifies lack of talent. A great deal of rap and hip-hop falls into this category, as well as quite a bit of country and old-school punk. CW: As I have grown as a bass player, I have found myself expanding my musical horizons to include a lot more jazz, soul, funk, and R&B. It allows me to incorporate more styles into my own playing. CW: I was playing in a rock cover band, and we were booked at a small dive bar just outside of small town in New Mexico. We were scheduled to play Thursday through Sunday, four sets a night. The first three nights were surprisingly great, good crowds, no trouble, lots of fun. When we arrived on Sunday, the bar was deserted except for an elderly couple sitting out in front of the stage. We guessed that our regular fare of Metallica and Black Sabbath might not be received well, so we decided to open with the mellowest song on our list, "Plush" by STP. As the last note faded out, the man turned to his wife and said, loudly enough to be heard, "That's not Merle Haggard!" and they got up and left. We played the rest of the night for the bar staff. CW: I would like to learn how to play the hurdy-gurdy. They just look and sound so cool. CW: Proud Peasant's music is wholly conceived in the mind of Xander. That being said, we do get input over our individual parts, making adjustments for personal style or ease of performance. Thanks everyone! And we at Exposé are looking forward to the release of Communion and the continual evolution of your sound and music.